"ETA" (the Greek symbol used by physicists for "efficiency") was a Leicester firm, with their factory originally located at 70A Asylum Street and then in Weford Place, right in the city centre, and under the control (before World War Two) of a Mr. Harry Wildbore. The lathes were accurately built - the National Physical Laboratory used them - and made from good-quality materials to a decent specification. Although built in limited numbers a surprising number have survived in remarkably original condition, testament to the quality of their construction and (of course) efficiency in operation. Although the first examples are known to have been manufactured in 1912 it was not until after the First World War that production started in earnest. Unfortunately, the very early machines have no identifying marks but, should you be lucky enough to come across one, their distinguishing features make them relatively easy to recognise. 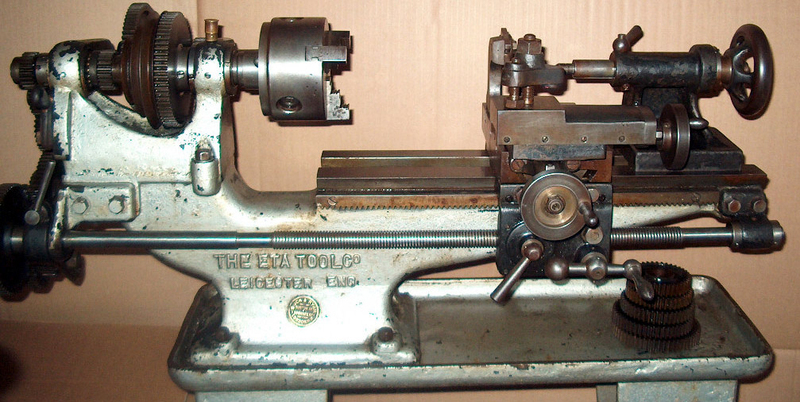 Later lathes had the name "ETA" cast into the bed and, later still, the words: The ETA Tool Co. Leicester, England. Until the introduction during 1930 of a 3-inch model, it is believed that all types prior to that had been 4-inch models, and built in several configurations the precise Model Designations of which only a few types have survived. 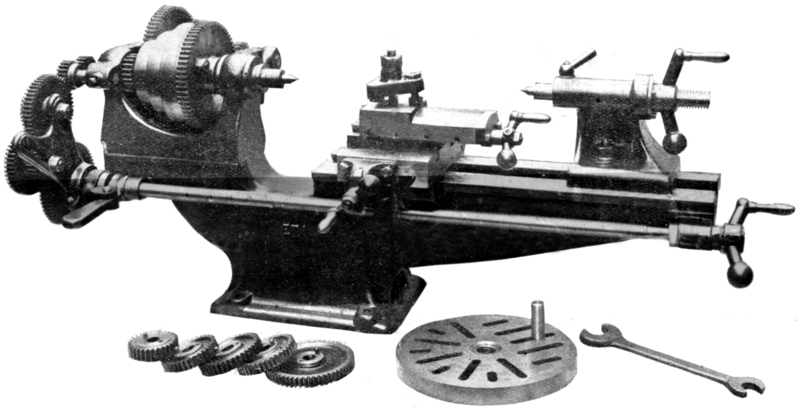 One lathe whose type name is known was the 4" x 13" "Economic", a simplified version of the more expensive and better-equipped Model X. 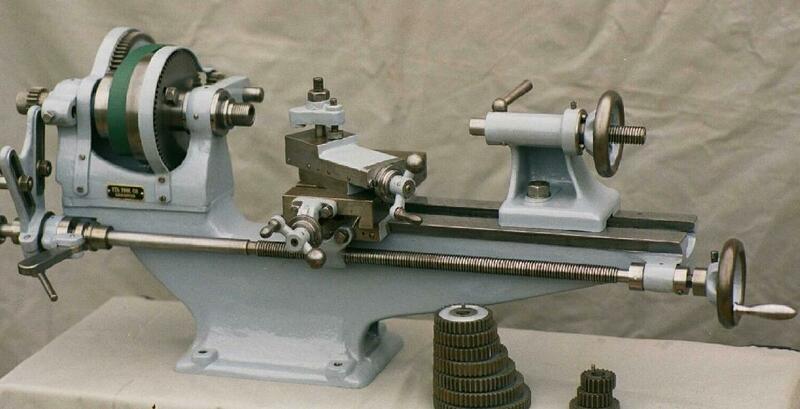 An entirely conventional lathe, the "Economic" had a stress-free, cantilever-form bed with its headstock spindle running in finely-adjustable bronze bearings held in tapered seats. There were proper double clasp nuts on the (0.75") 8 t.p.i. 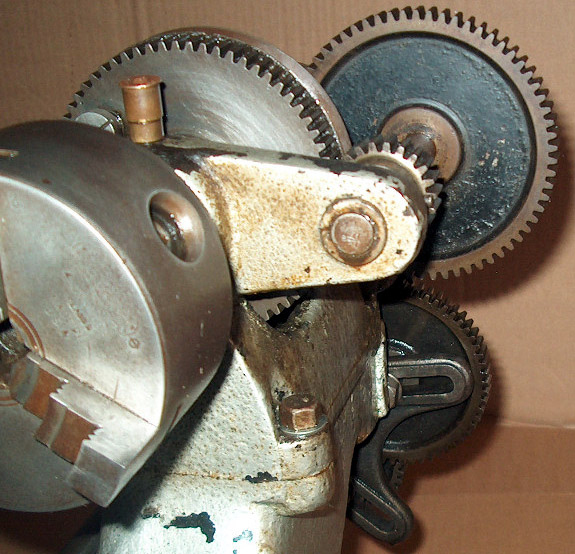 square-thread leadscrew, a geared-down drive between carriage handwheel and the bed-mounted rack, engraved micrometer dials, a twin-arm banjo quadrant to carry the changewheels (allowing the easy mounting of compound gear trains), a proper compression clamp on the tailstock barrel and, on some models, both light (and easily-lost) backgear guards and a fine-feed to the saddle driven by belt from an extension to the tumble-reverse output gear. The "Economic" could be bought with or without a 9 : 1 ratio backgear; however, in the latter case, it was still possible to retrofit it, the mechanism being bolted to separate brackets at the rear of the headstock and offered by the makers in their accessories catalogue. Strongly made, the 8.5" x 4.5" cross slide was fitted with three large T-slots - into any one of which the top slide, with its graduated swivelling base, could be located. 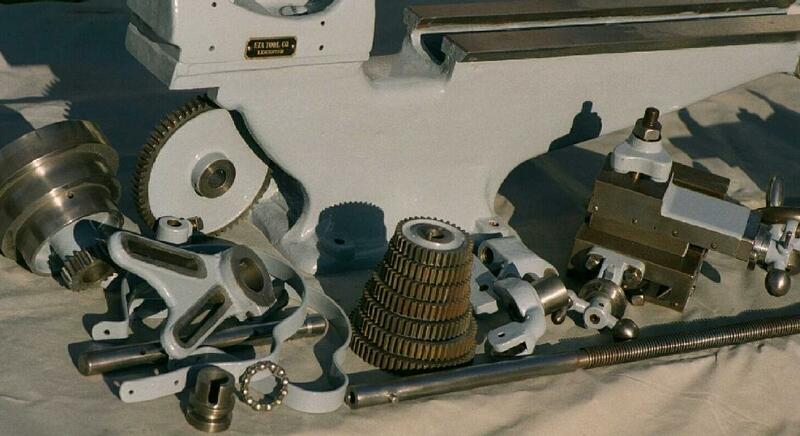 Although the carriage assembly was of substantial proportions, it was still able to be operated when the headstock and tailstock centres were brought together - and hence possible to turn very short workpieces between centres. In the early 1930s, facing increasing competition from other makers of cheaper lathes, a small milling machine, a drill and a tool and cutter grinder were added to the company's product line. 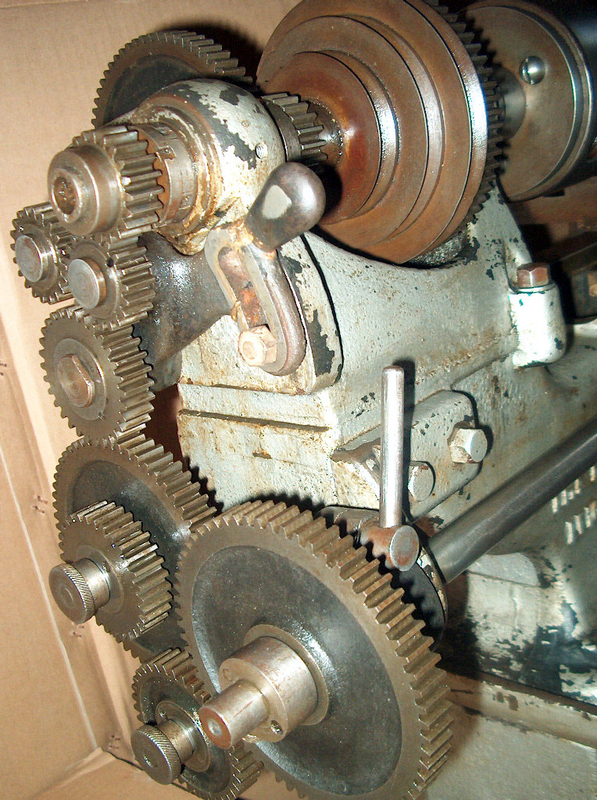 One of the ETA lathes that remains a mystery as to its type number is a rather superior machine with an overhung carriage-feed powershaft, driven from the headstock end of the leadscrew and intended to provide a sliding feed along the bed without wearing out the clasp nuts. An illustration is at the bottom of this page. In 1934 the design rights were acquired by the Leicester machine-tool makers J.W.Bamkin, but no further examples of the lathe were made - the reported loss of the patterns in an outside foundry fire could not have helped. Bamkins, however, continued to produce the ETA miller for a few years while the tool and cutter grinder remained in production, it is reported, until the 1970s, even after the Company moved further out of Leicester to Barkby Road during the 1960s when the manager was Alf Riley..
Only one ETA passed through the writer's hands in recent years; this was removed, complete with its original motor, from the shed in Leicester were it had been installed in 1933. 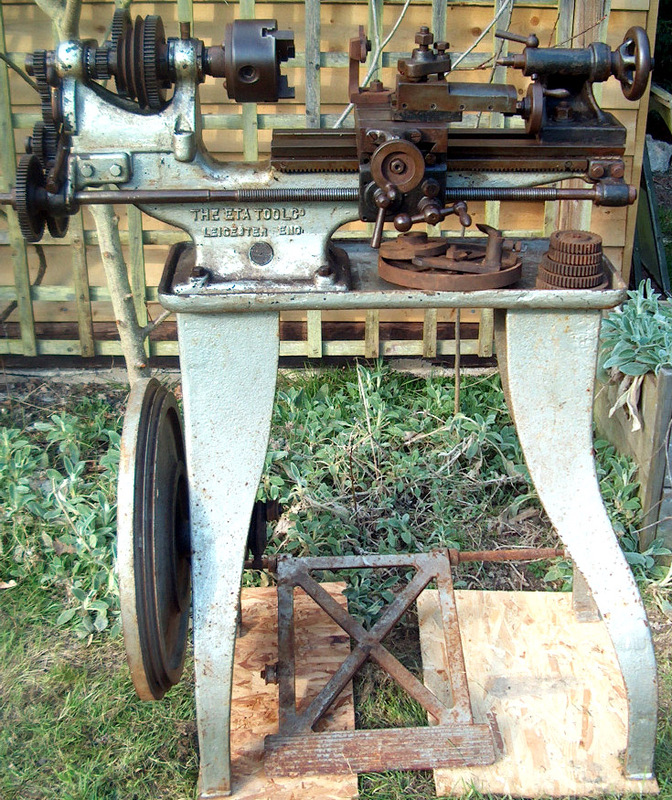 It was in remarkably fine, original condition and turned out, on close inspection, to be a particularly well-made and finished little lathe whose strength and rigidity were significantly better than the contemporary Drummond model. It was restored by its new owner - pictures below..
Saddle to bed fitting - showing the vertical shear on the inside thrust face. The tailstock and apron were located on different bed shears so that wear on one would not affect the location of the other. 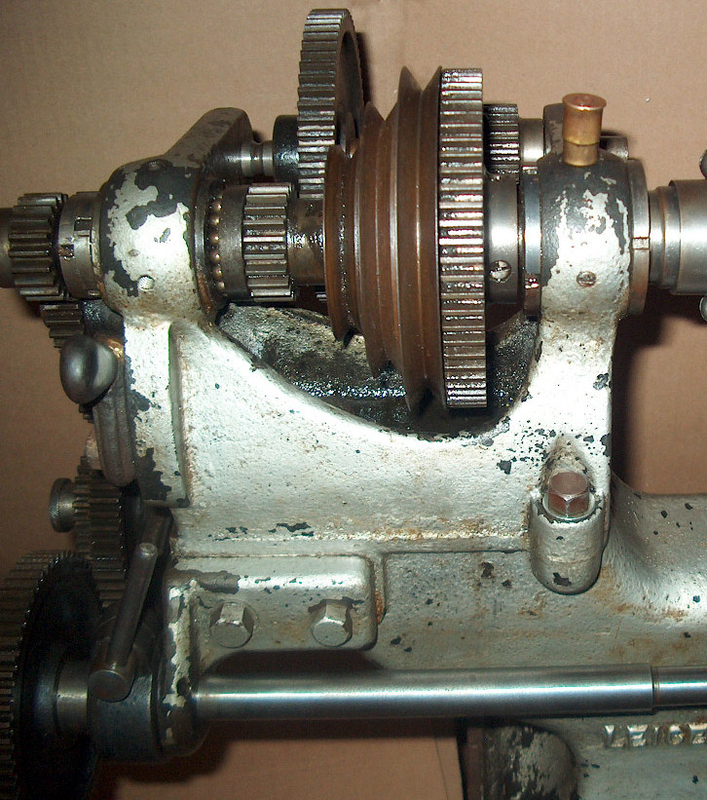 Headstock spindle (with the drive pulley removed) showing an adjustable cone bearing at the front (in cast-iron on some models), and a Duplex combined radial and thrust ball bearing at the rear. Other models had adjustable cone bearings at each end and a ball thrust race to the left-hand end of the drive pulley. The conical bearing was made to slide in its housing by the means of nuts at each end, which gave a wide range of adjustment to compensate for wear. The spindle bore was 3/8", the nose thread 11/8" x 10 t.p.i and, according to the maker's literature, the centre a No. 1 Morse taper - however, examples have also been found with a 2 Morse fitting. Section through tailstock and bed fitting. 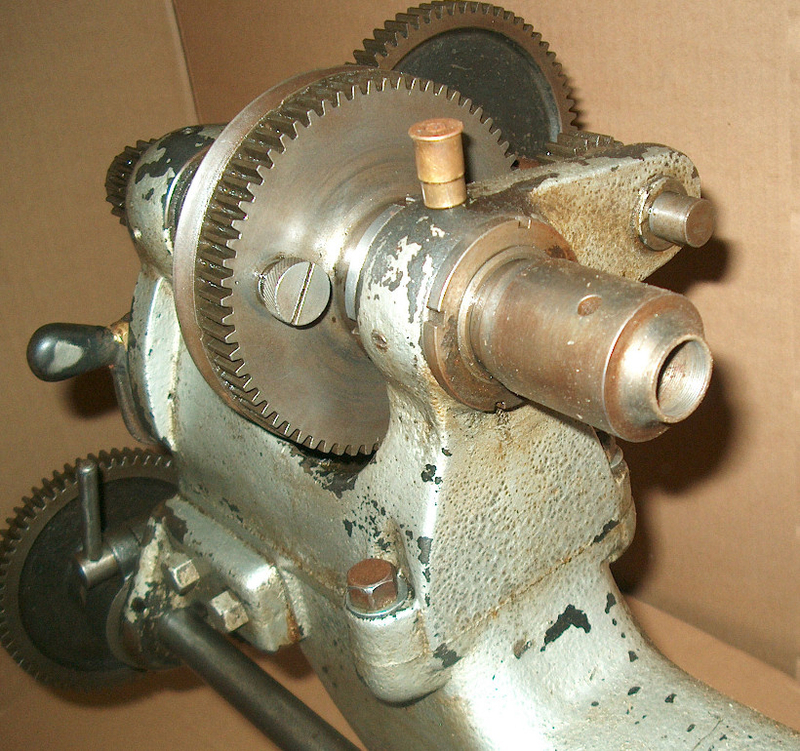 The tailstock was automatically pulled up to a vertical face on the back shear of the bed - whilst being simultaneously being clamped to the top surface. Interestingly, ETA did not consider a "set-over" tailstock worth the trouble of misalignment and offered instead a sliding "false centre". There was a lot of old gooey wood-dust, oil, and accumulated gunk everywhere; in the oil holes, under the mandrel, in the thrust bearing - which had actually seized with the gunk, but with the shaft not damaged and secure on refitting. The storage rusting was all only superficial dust on a few places, such as the change gears and leadscrew, together with old "oil tar" which cleaned off easily. The scraping on the bed is almost as new and still clear right along the slideways, and the mandrel front bearing adjusts very finely with the cone screws. This is, all-in-all, still a fine machine as far as I am concerned - even though it is now over 80 years old. If you still have any contact with the family of the previous owner you may wish to pass on my appreciation - I hope I shall have a good, long time to enjoy using it. Judging by pulleys designed to take a light round-leather "gut" drive this Model X ETA was probably made before 1925. To reverse the direction of travel of the carriage, the tumble reverse leaver had first to be unbolted before its position could be altered. 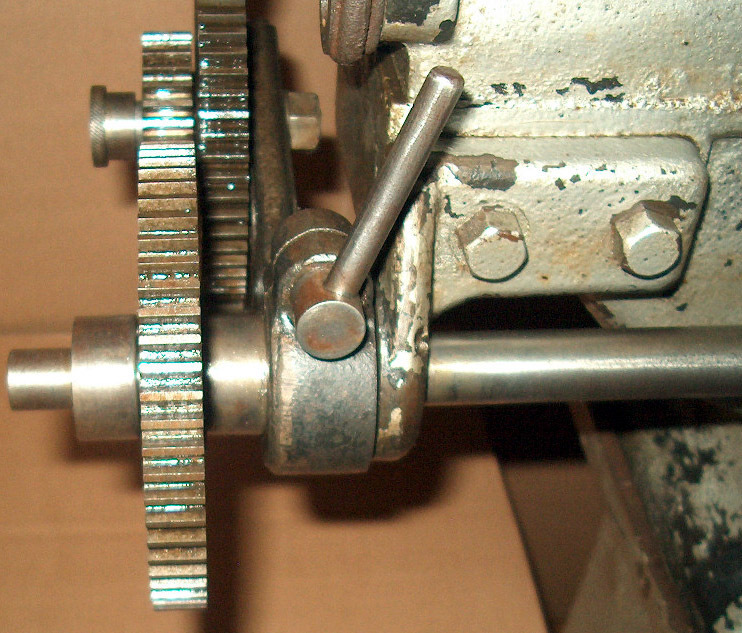 For compounding the gears were held together with simple pins Note the early Drummond-like screw-on, knurled-edge rochangewheel retention nuts.